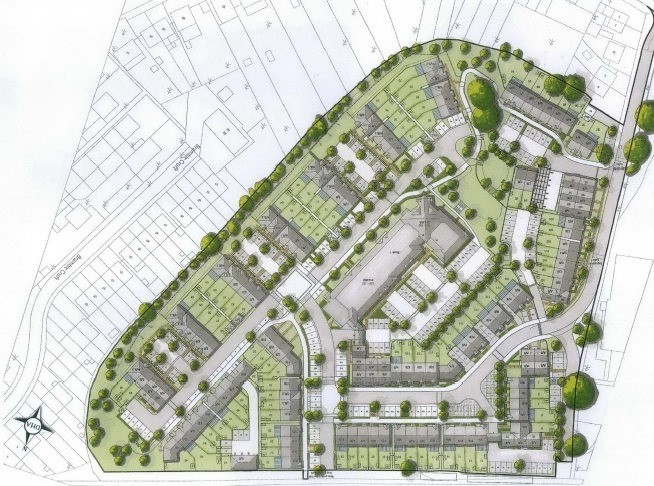 This development of around 600 homes is on the former site of Larner Road estate. Seven tower blocks have been demolished over the past couple of years. Wates Living Space and housing association Orbit South are behind this scheme. 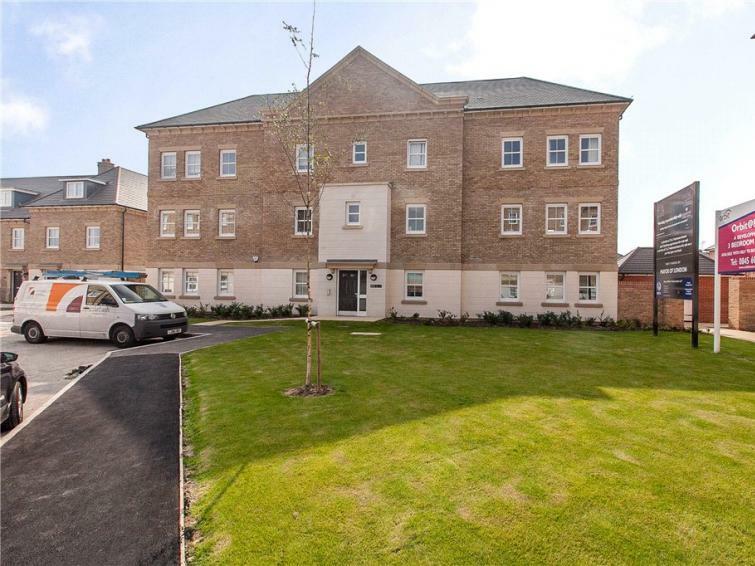 Stage 1 comprised of 343 homes and has recently completed. Stage 2 is for 244 and recently secured planning permission. The first homes of the final phase will be ready in summer 2017. The main campus of Bexley College relocated from Tower Road to a site beside Erith station last year. 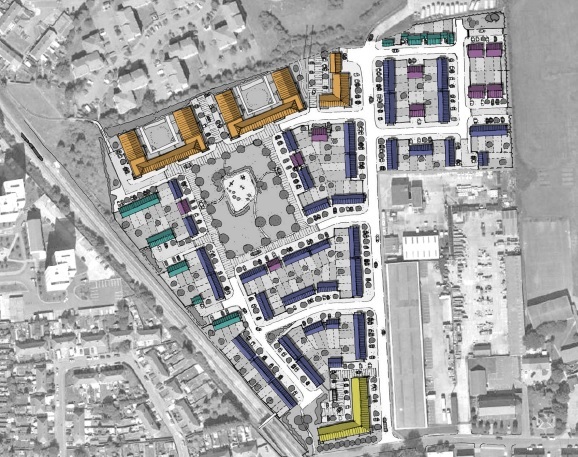 The former site was sold to Barratts, who are now building 192 homes. The site is mainly terraced housing surrounding a central block of flats. It’s very much in the typical Barratts’ pastiche ‘style’, with a very suburban feel. In the town centre 40 flats are almost complete beside KFC. MOAT housing association are to take control once construction concludes. The building unfortunately isn’t looking great. It’s the type of dated, stingy design so common 15 years ago with small square windows affording little natural light and cheap looking cladding. Though the render is very low quality. • Primary School with 630 places opening by September 2017.
houses. This is the first stage of a larger plan for the town centre, and one that looks promising and much needed to in-fill underused sites. The former swimming pool was an attractive, understated modernist structure. One of the few good things to come from the 1960s wholesale demolition and rebuilding (butchering) of the town centre. This is the High Street, but you wont find much on it anymore apart from the Coach and Horses pub seen above. The 2010 “Erith Western Gateway Development Framework” got the ball rolling with a wide ranging masterplan covering the area. The 1960s tower blocks are to be retained, which is welcome, and the dead space around them filled with housing. These are currently car parks or grassed areas rarely used. The idea of expansive greenery at the base of towers was a nice idea but rarely worked. People just don’t use the space. Better to build more housing around blocks, bringing the tower blocks further into streets and the urban fabric, and have fewer, but better located, patches of greenery that will actually be used. In this case there is the riverside park two minutes away. Greater number of residents should also help bring more life to the town centre. Richmer Road. Former Linpac site. This site is further south in Slade Green. 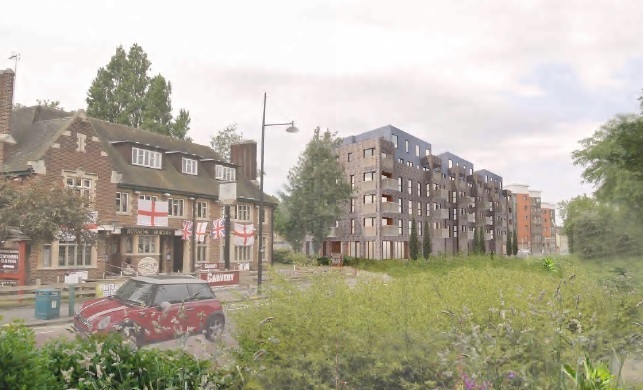 Last week Bexley council gave outline permission for redevelopment of the area “comprising of up to 336 residential units in a mix of one, two, three and four bed houses and flats”. Only 25% will be ‘affordable’. Apparently that’s all that is viable for the developers to provide at a site, lets not forget, that is way out in zone 6 in an area with few amenities or attractions around. If land costs weren’t so ludicrous, and developers not given free reign, many more affordable homes could be provided. The definition of affordable is pretty ridiculous anyway. If it’s like Erith Park, where £240k gets you a 40% share, that’s still 12 times average local wages for less than half ownership, with rent due on the remainder. The equivalent of £500k for a small property with some of the lowest building standard regulations in Europe. Small rooms, little natural light, poor insulation. All yours in an area hours from work with little nearby. Most will end up in the hands of landlords as buyers can’t afford them, and taxpayers will prop up those landlords at high cost. 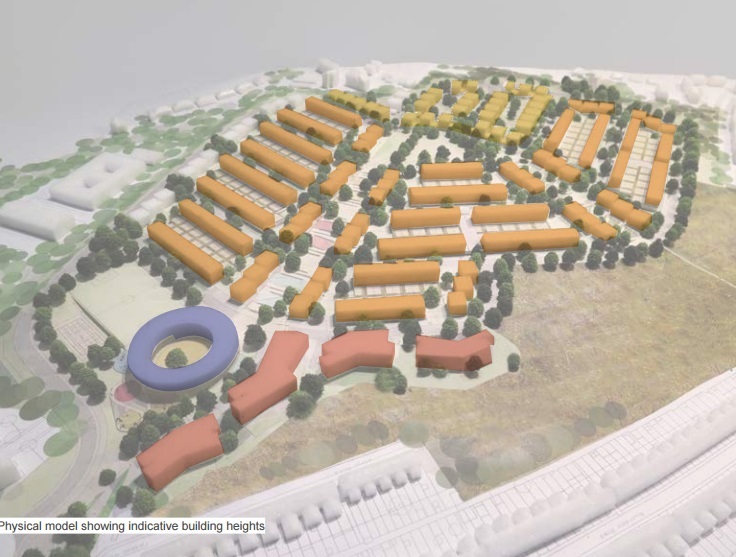 Also in Slade Green, this site is currently being developed to provide a total of 372 homes. Redrow homes are behind it and parts look bloody awful. The worst kind of piss poor pastiche. A crap imitation with non-existent attention to detail and the proportions completely off. I’m not against traditional styles being used in modern builds, but if you do it don’t cut so many corners it looks cheap and nasty. God knows why they called this development ‘ratio’, when they’ve got them all wrong. 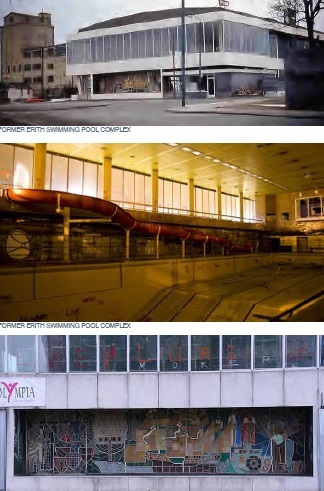 There’s also a couple of large commercial schemes. Ocado will build the world’s largest online shopping distribution depot. 3500 jobs will be created. Such a scheme will inevitably pressure Bexley council to support road river crossings, and its telling how they have changed their stance on crossings recently. Further along at Slade Green a large rail freight centre is planned. After a lengthy battle, due to the site being green belt, it was approved in 2007 but nothing has happened since. New plans are being drawn up. What it comprises will be interesting. With a large increase in population and housebuilding can the rail lines take more freight at the expense of passenger trains? Just today it was announced that the Chinese will invest £100m into the Paramount Park at Swanscombe. For many people in south and south east London, it’ll be the line through Slade Green and Dartford that will get them there. All the housing developments will also mean trains arriving at Woolwich and Greenwich busier, at the same time as thousands of homes go up there. Government are still silent about any further stock for Southeastern. It’s very debatable whether Crossrail can pick up all the slack, and that’s still years off. Because I live in LB Bexley I tend to know more about the building projects going on within the borough – whereas you help keep me up to date with the Greenwich plans. What is clear though is that you have a great knowledge; not just about building projects, but of some of the elements needed to make a development work for its residents. I know I’m old fashioned (old anyway!) but I am often surprised that you support more and more close density, high rise housing. The population may be growing, but there is a limit to the amount of people who can live in London without a complete breakdown of services; for example schools, hospitals or transport links. Building more and more just feeds the problem surely? Frankly, not everyone can live in London! And even with all the developments going ahead I can’t really see that there is any really affordable housing within its perimeters anyway. I’ve often wondered if you are an architect or involved in planning in any way? Whatever the case, you certainly do a lot of research – but as you already know, I don’t agree with the never ending new tower blocks which seem to be breeding more… and more. The quality of the architecture varies, but even in the best of builds there is a sterility. I’ve always lived in houses with gardens (council rented prior to my marriage) but I well recall the high hopes of people moving from substandard accommodation post war, into tower blocks with all the mod cons of that period (basically, an indoor toilet and hot water!) I knew many people who moved into such blocks – but it wasn’t the promised utopia.